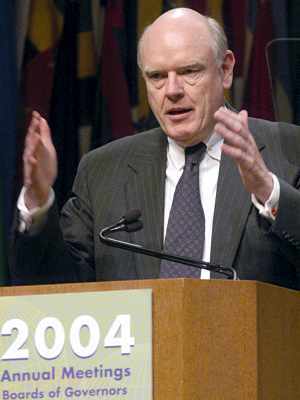 American government administrator and business executive who was appointed as the 73rd U.S. Secretary of the Treasury (2003-2006) by President George W. Bush. Snow’s prior business career (1977-2003) was spent in multiple positions with Chessie Systems, Inc. (later CSX Corporation). Before that, he had several jobs at the U.S. Department of Transportation (1972-76).